Requirement was to map the INVOICE IDoc to First Target Structure and then create a New target message type which contains only three fields. 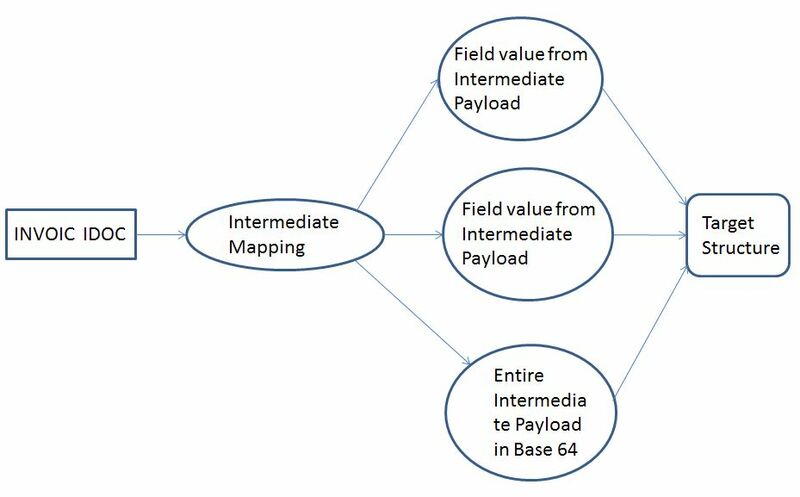 Value of first two field should be taken from First Target Structure and the third field should contain entire payload (First Target Structure) encoded in Base64. Then we need to pass Target structure to third party.So to summaries we have below requirement. Create a two message mapping first message mapping will map IDOC based on the required conditions. Create Java Mapping which has input as the target of first mapping and it will create the Target message Type as per the third party. Assign the below jar filed and assign in imported Archive so that can be used in operation mapping. For testing purpose we are using operation mapping we have step 1–>Step 2, so IDOC is directly converted to Target Structure. Value in field Data Contains the entire payload encoded in Base64, if required same can be checked on base64decode.org.